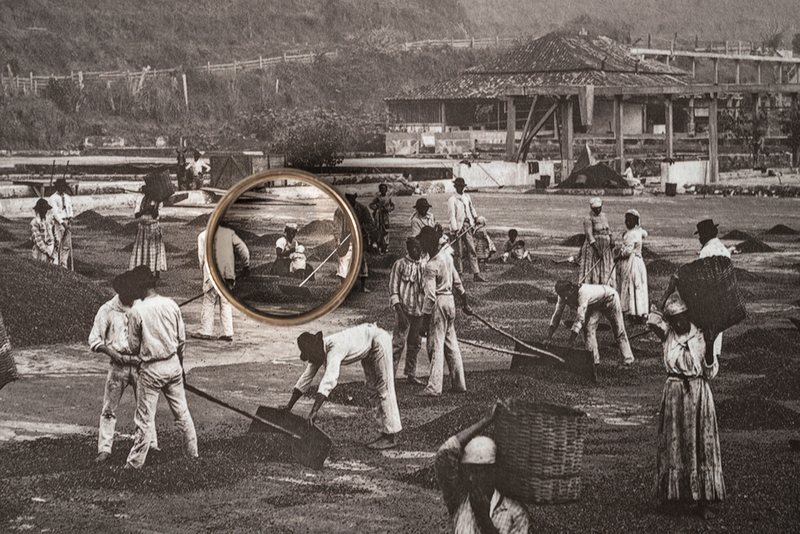 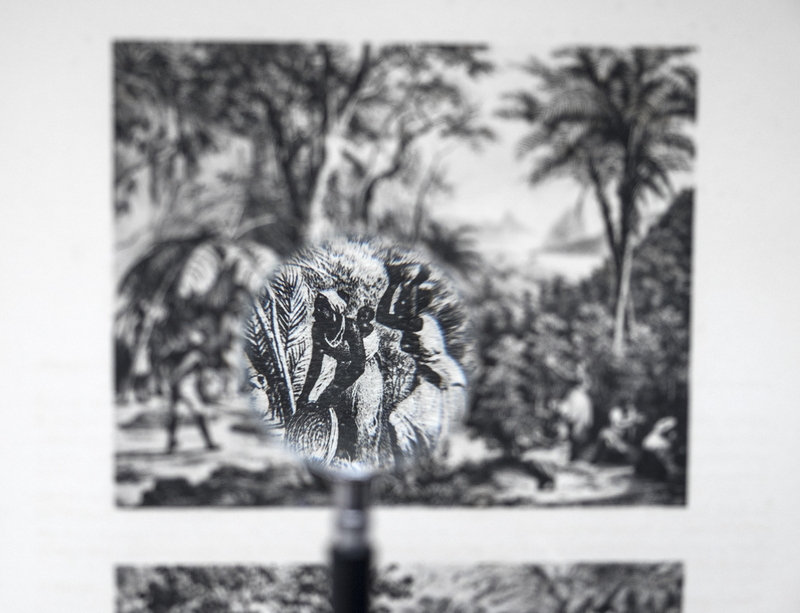 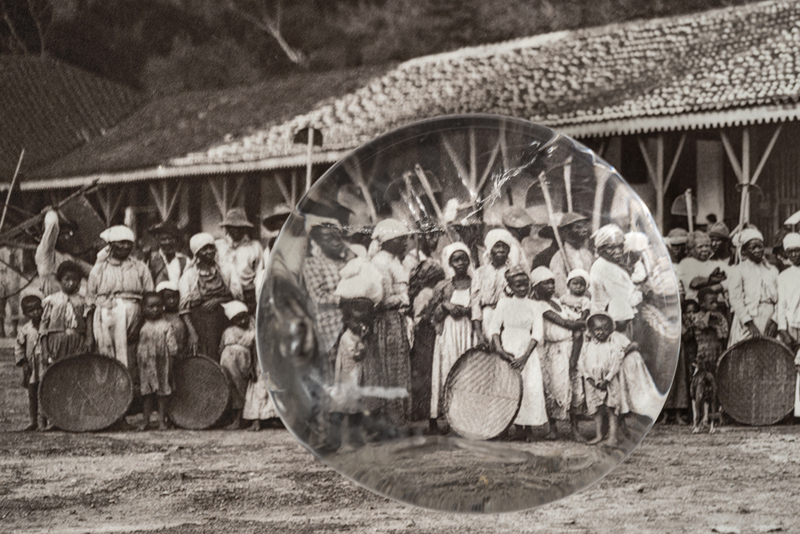 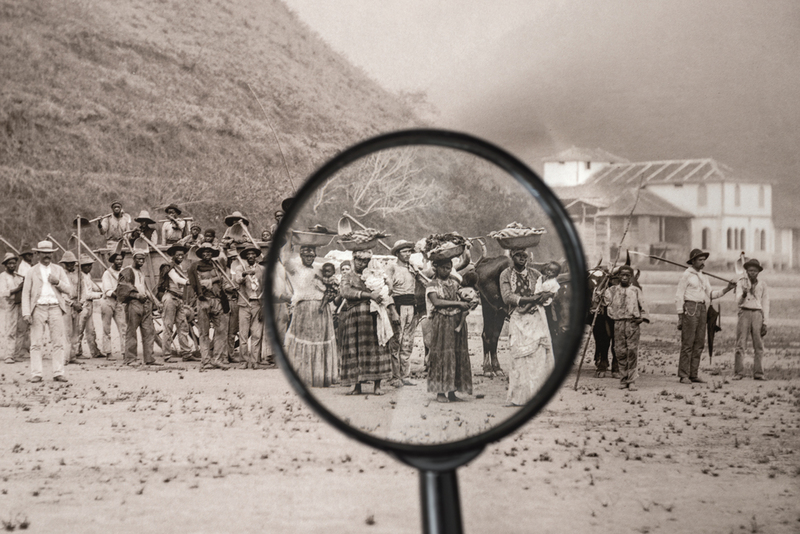 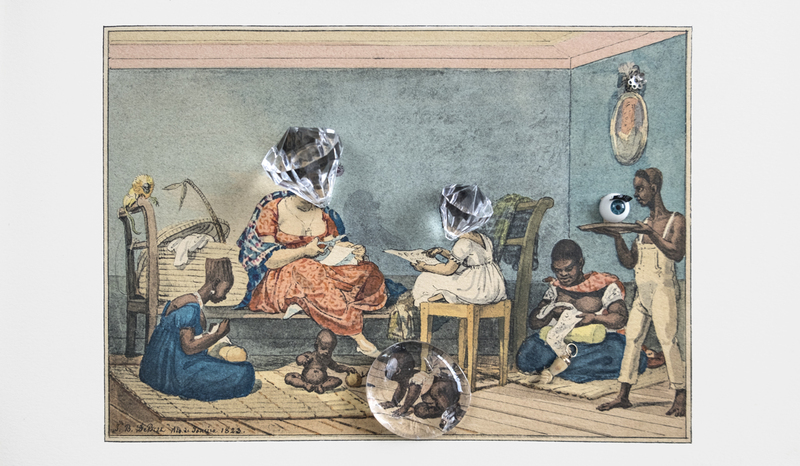 By using optical objects such as magnifying glasses and lenses, in the series Ways of Seeing we highlighted the duplicity and complexity of the different relationships entertained by the wet-nurses with both the white children they took care of and their own children, causing a shift of perception that makes the mother the protagonist of each scene. 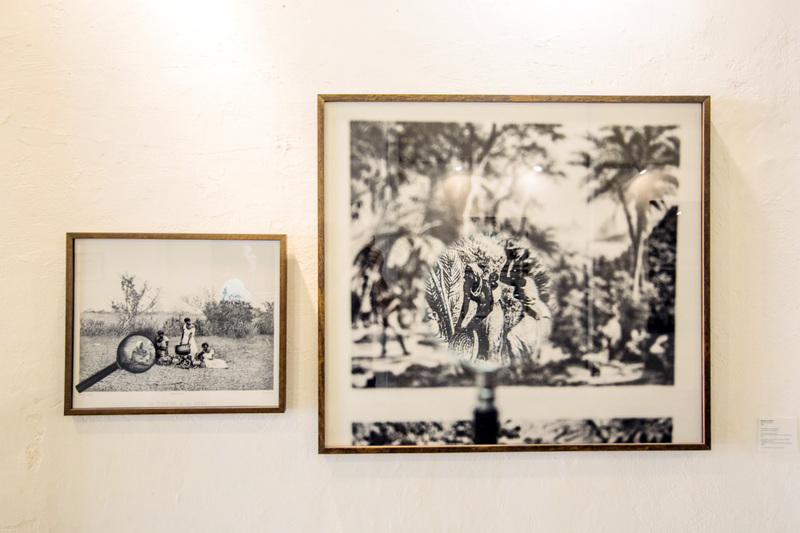 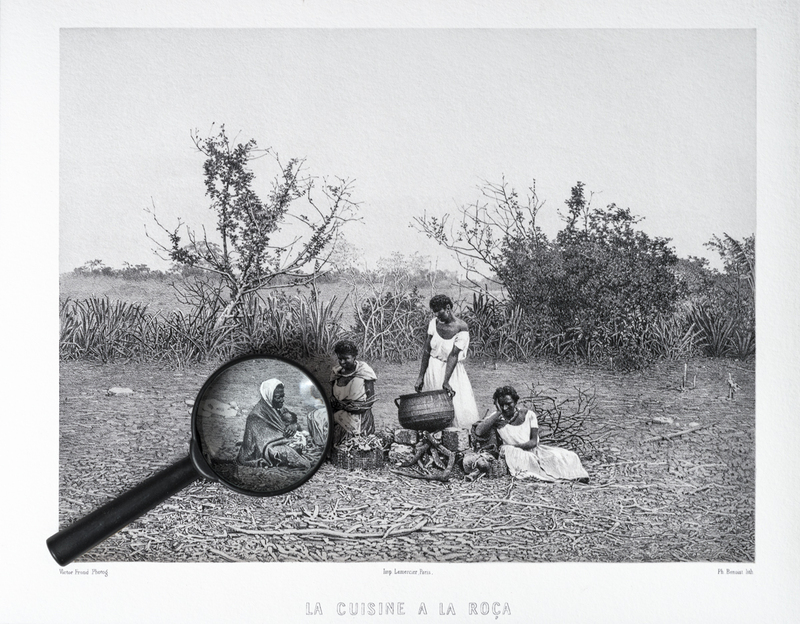 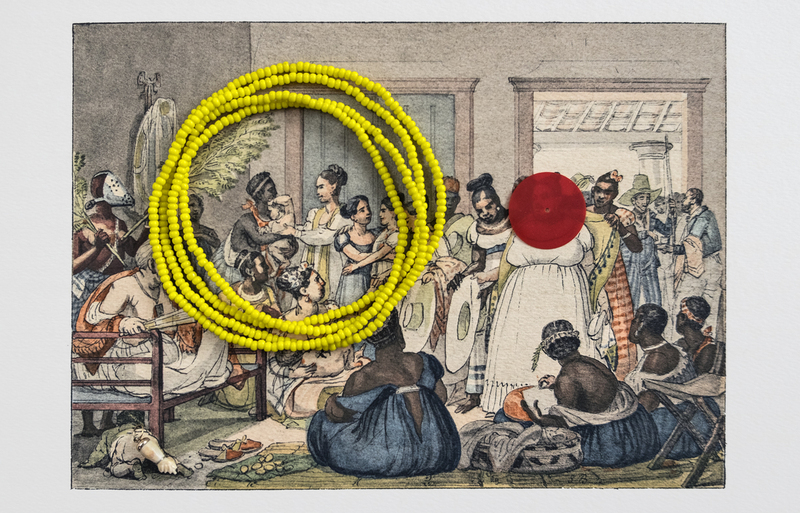 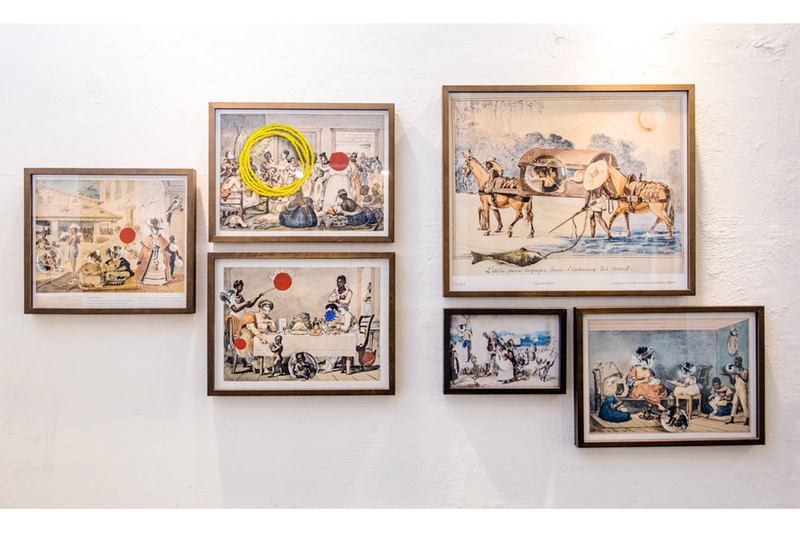 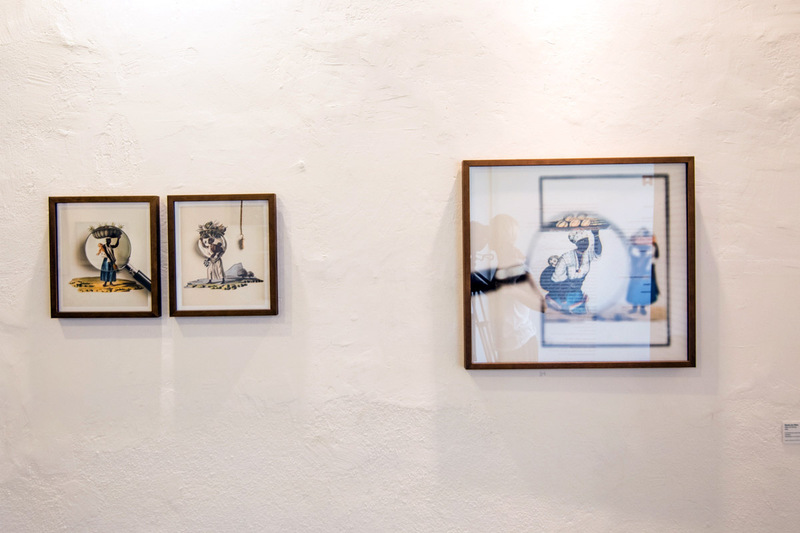 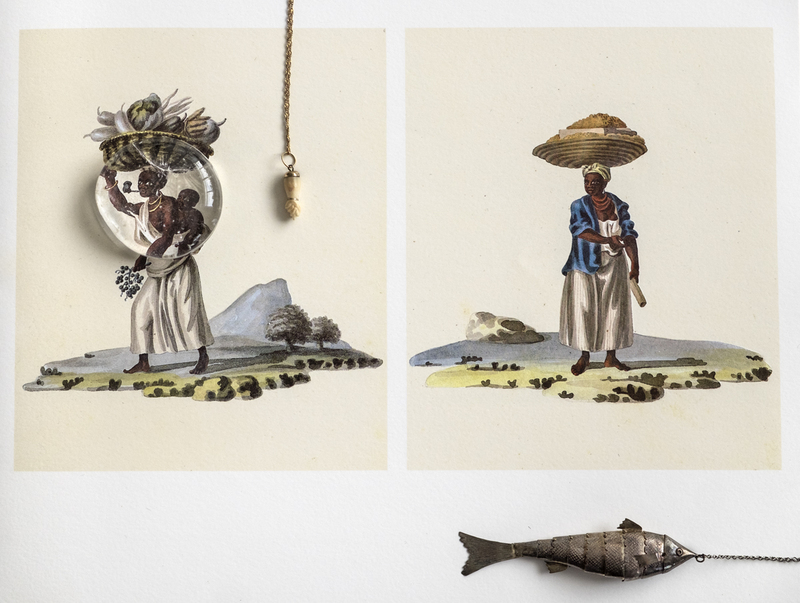 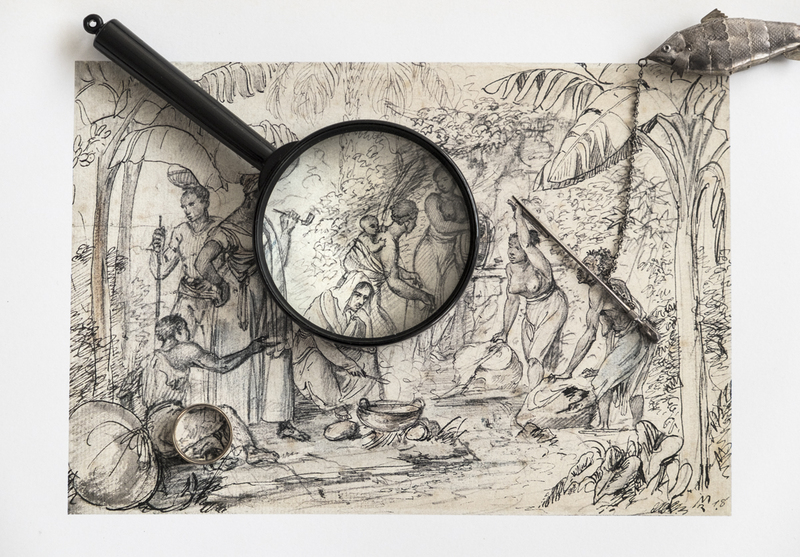 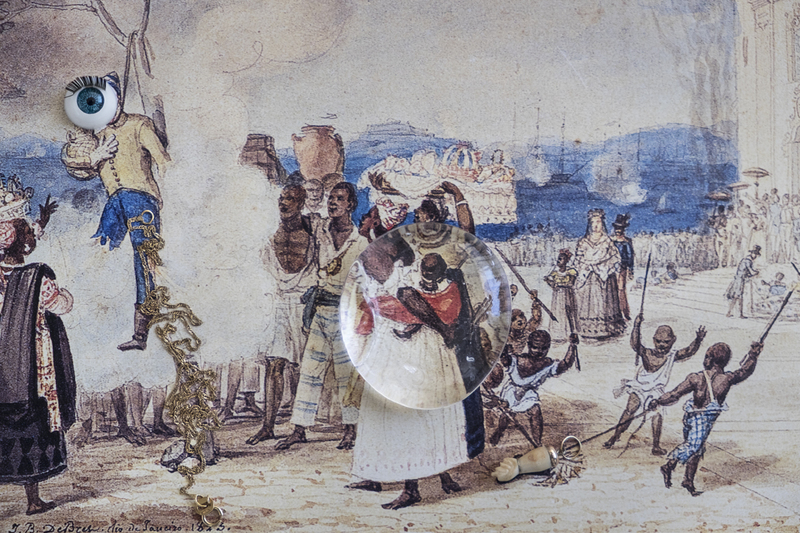 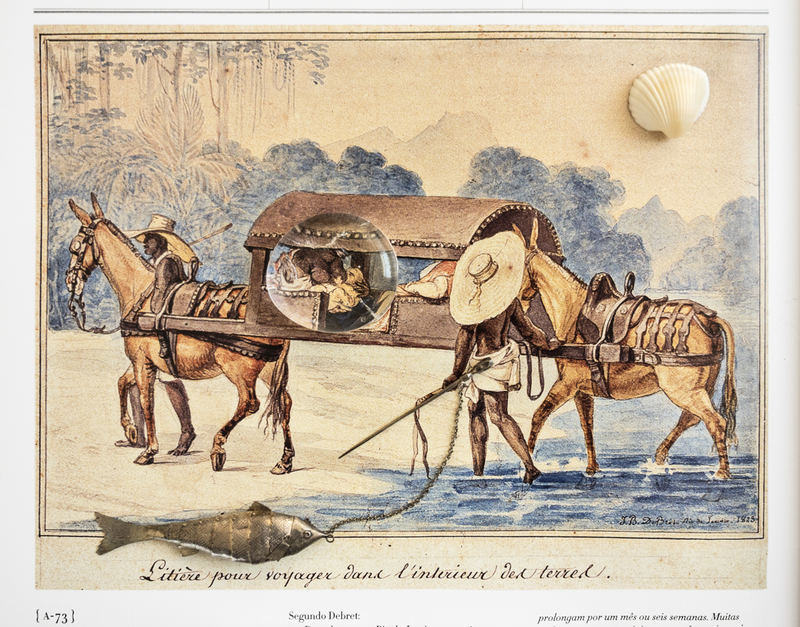 By looking at image archives mainly from the 19th century in Brazil, we selected representations of motherhood and maternal relationships in paintings and engravings of daily life in the colony made by Jean-Baptiste Debret, Johann Moritz Rugendas, Joaquim Cândido Guillobel among others. 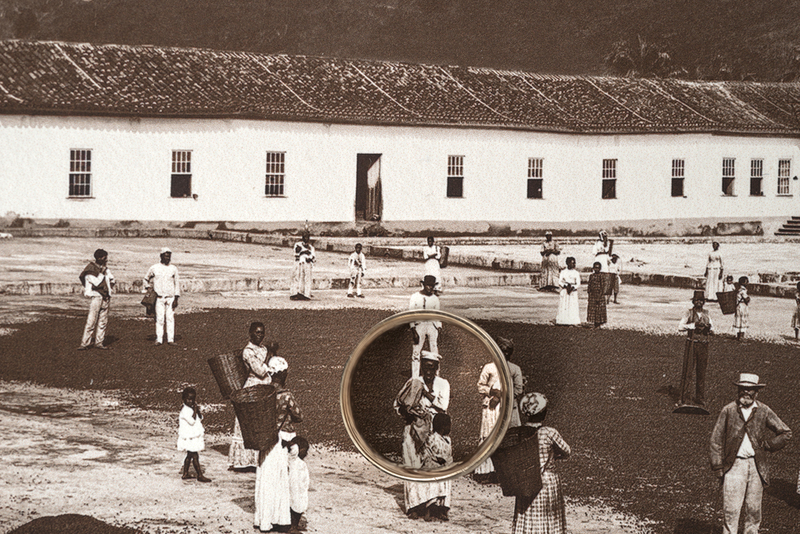 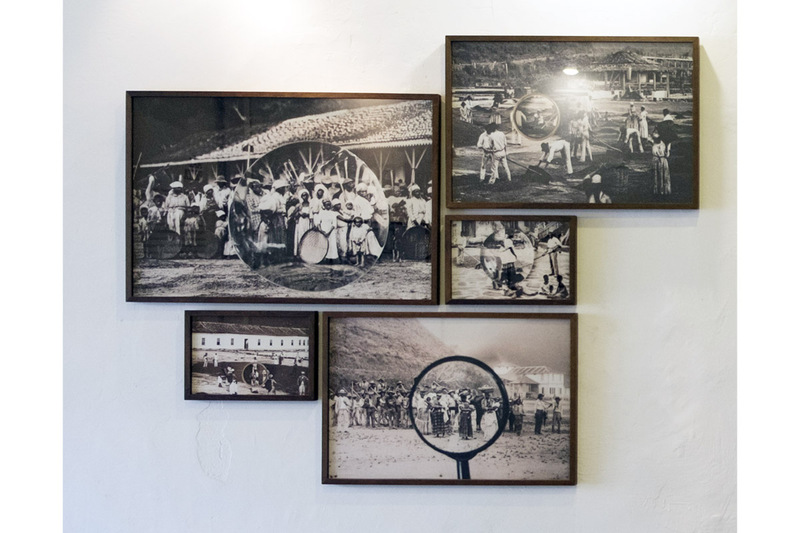 With the photographic turn in mid-19th century, there are even more photographs of wet nurses in the daguerreotypes found in the Instituto Moreira Salles archive, as well as in other collections across the country. 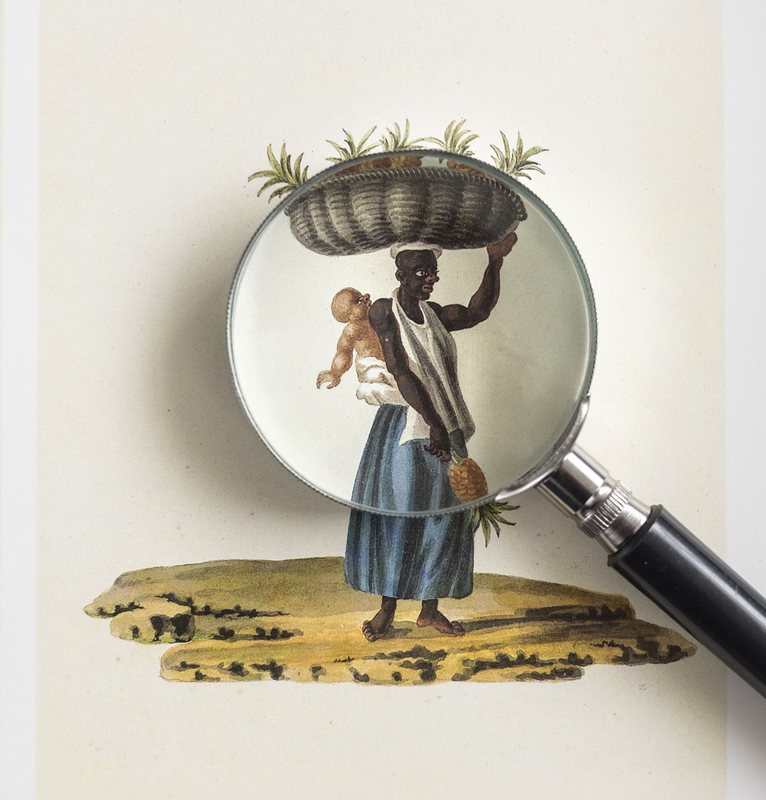 The ways of Seeing seriesA série Modos de Olhar busca destacar a posição materna da mulher negra na sociedade colonial. 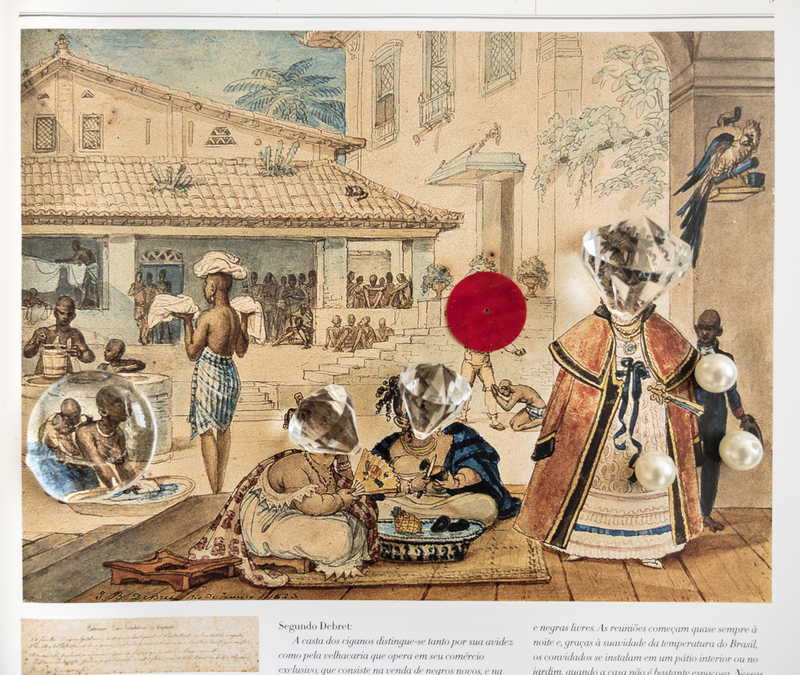 Percorremos arquivos de imagens, pinturas, gravuras e fotografias em que mulheres negras são representadas na função materna tanto de seus próprios filhos quanto dos filhos de seus senhores.